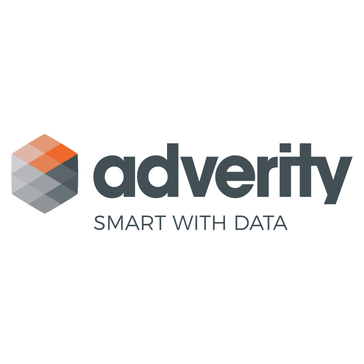 Adverity is a marketing analytics and visualisation tool. "Reliable and flexible ETL as a Service solution"
1)	Most importantly, Datatap is highly reliable and available. No outages or failures from Datatap side itself in my usage experience. It just works. 2)	Connectors’ portfolio and ability to develop more. That was one of biggest argument to choose Datatap. Out of 14 API connectors that we needed at the moment of Adverity’s evaluation, they had 10 out of the box and developed 1 exclusively for our need in a WEEK. While best of alternative vendor had only 6 connectors in place. After half a year of using Datatap, they covered all connectors we needed initially. 3)	Account management is great. Adverity cares about customer’s experience and satisfaction with the product and usage. They listen to your requests, ideas, proposals for improvement and really do things about it. Assistance with tricky cases usually arriving within few hours after the request, sometimes even minutes, though by SLA they don’t really have to be so fast. 4)	They could be really much more expensive for the work they’re doing. We’re spending more for our RDS storage database per month. Documentation still has a lot of space for improvements. Though it is much better now than it was half a year ago. But as support is working fast and great, that issue is not critical at all as usually you’ll got your answer in matter of hours if you ask for help. If they don't have some of connectors that you need - just ask. They really doing them fast. Depends on API model complexity of course. Mostly we’re using Datatap for data integration from various of Marketing partners (Adwords, Facebook, Affilinet and etc…) for Marketing Acquisition optimization and decision making. But besides that, we’re using to some data movement between cloud platforms (e.g. from Google to AWS) and data extraction from Big Query Google Analytics. No hackwork for ETL routines’ development at all. You don’t care about anymore ETL infrastructure. Just consume data from your preferable data storage system that has all connectors’ data in it. Marketing department could save ~80 man hours per month on manual data collection from various of partners web portals. Data is available for whole company via accessing dashboards and not an asset of Marketing department anymore. "Datatap: Easy extraction, transforming and loading of all your marketing data"
What I like best about the product is the huge amount of easily configurable API's (if they don't have the connection yet they will built it for you), the way you can transform your data to your likes, the great amount of support, and the scalability of everything you do. Datatap has a rather steap learning curve for people who aren't "data-ninja's". The product can seem a bit overwhelming in the beginning. Once you get through this phase (no worries, support will pull you through) you will start seeing the beauty of the product. Datatap has automated all our data needs, reducing manual datacollection to a minimum. This way we can use our time analyzing the data instead of collecting the data. "All Data from different Sources at one Place to get a holistic view on all KPIs"
It is very easy to create clear dashboards with a large variety of different display options and share them with stakeholders. The required insights can be visualized very easily within a few minutes. Managing the individual dashboars in the UI could be a bit more convenient. For example, folders to create yourself would be practical. Have a demo and see for yourself how easy it is to visualize the data. First of all: Save Time! "Fully customizable integration plattform to fullfill every digital marketers data-dream!" -The possibility of using scripts in data transformation Altough it requires some settling-in period for people with no technical background in the beginning it's a great way to redimension data-sets in its most individual way possible. Adverity always trys to help by updating its documentation and offering great support for all kinds of questions. -Responsive Version for Smartphones or even an app would be great. Offering automated multi-channel reportings as a digital marketing agency to our clients with Adverity Insights.. All reports are individually designed and individually dimensionable based on the clients needs. Besides that we also use Adverity as an internal tool to monitor campaign performance. "My go to platform for Marketing Reporting and Analytics"
Having all my data sources integrated into Adverity. Being able to create ad hoc ROI and Campaign effectiveness reports and share insights with my colleagues. With the platform we were even able to setup very sophisticated attribution reports for TV spend. Some initial training required due to many possibilities. Marketing analytics needs a clear idea what you want to achieve - thats independent of the platform you use.
" It’s great for data exploration!" By using Adverity Insights, we continue to save a lot of time compared to manual reporting ... All I need is one dashboard, a blessing! "Data Exploration with a lot of useful possibilities"
It makes reporting and KPI-analysis a lot easier, since all the data is aggregated from all different sources. The reporting to the client is more clearly arranged and you can display all the KPIs at once. The reports could be split better when exported. Data-Corrections take a lot of time, when they're not attributed correctly; but one time a dashboard is set up, it is easy to maintain. Reporting to client, data analysis / learnings from campaigns, over-all reviews - also easy to use for the client with a lot of interactive possibilities. "Extensive possibilities for reportings with excellent support service"
Adverity gives you a lot of possibilities for reportings. Systems can be connected and data will be importet automatically. This is very helpful and time-saving. Also the presentation of graphs is very appealing. The support service is excellent, very fast and friendly! The individual setup is sometimes very challenging. It can take some time until everything is set up correctly. In some cases data is suddenly missing but I made the experience that with the support team this issues have been solved very quickly. We use Adverity for internally and externally reportings. "Off-the shelf data connectors combined with advanced analytical capabilities"
When it comes to analytics I love the off-the shelf data connectors combined with the advanced analytical capabilities and the possibilities to dig into all the data details. At this moment I have not encountered anything I dislike. Define a clear strategy what you want to achieve and designate an owner for the project internally. I use Adverity for reporting and analytics of marketing and retail operations. Campaign and Business Intelligence as well as alerting if something odd happens. Integrate another datasource in a matter of minutes. Great support in case you miss something. New features almost on a daily basis. Some hiccups here and there - quite normal for a product this young, but everything sorted out within hours. Don't forget to split your imports. Don't try to rename/typecast existing mappings. Don't underestimate the effort for the initial setup, don't do it as a side job. Campaign Monitoring and Reporting, Monitoring of reach and capabilities. Just share your insights with the customer. "Data exploration and reporting at its best"
I really like the how effortless adverity allows to combine many different data streams in one graph. You get insights into your data at a glance. Analysis over all channels become easy. It´s not really a "disklike" but a recommendation: you need to have a good understanding of data to get all out of Adverity. We are very happy with them. Good support, great tool. No complaints. We have aligned marketing and sales data which gives us learnings we have never had before. "Good working reporting Tool which makes it easy to combine, analyze and evaluate Data from different"
Nothing! I cannot recommend this product enough. Appearence; sometimes I would like to write thinks (Duration, Recos.) in the same visual way as a KPI Box. Get MIA as your support, she is great! Campaign Reporting, optimization, analysis & recommendations. Very flexible tool for wide variety of marketing needs. Some features are very complex and hard to fully recognise the possibilities. Documentation has to be improved. Campaign monitoring, optimization and reporting, comparison to media plans. It spares us a lot of time. the easy access to the numerous APIs and the outstanding user support. Adverity enables our agency to analyze our data. It takes quiet a lot of time to understand how Datatap works, but once you know the drill, it´s quiet easy. tell them where you want to go with this tool. Adverity can only be helpful if the goals are defined. we created a clean data warehouse for our agency and automated the whole reporting process in our online marketing business. "DataTap is great for analysts"
A bit expensive for startups with a limited budget, however it's worth it. Our analyst now spends considerably less time on data gathering and presentation. "Adverity is what every data-driven company needs"
Con DataTaps te ahorrarás muchísimo tiempo porque no necesitas sacar los datos manualmente de las aplicaciones como por ejemplo Facebook, todo es automático. No tengo nada negativo que nombrar, aunque al principio cuesta de entender un poco como funciona todo, pero al ser tan intuitivo en nada te familiarizas con el programa. Nuestro grupo de analistas se ahorra muchísimo tiempo con este programa y con DataTap les facilita muchísimo más el trabajo. "A powerful tool to visualize my imported data from several different data sources"
I like mosr the flexibility of the dashboarding and reporting platform. It can display many sources and exports, so I can quickly get the information I want. Nothing for the moment. I get all I want. Well, my recommendation would be to have a demo and use the free trial. There’s no need to download reports from Facebook and Adwords anymore - everything is available in the platform. "Very Clean way to integrate data and visualisation"
The clean UI and free demo are great. The way it cleanly simplified is amazing. "Great dashboard for your marketing activities!" You need to know your data - but as a marketing expert this is a MUST! "Managing data has never been that easy"
It really saved us a lot of time and trouble with manual work. It does take some time to navigate through all features, but once you get the hang of it it's easy to use and you don't want to miss it again. Adverity converted our complex data into easy-to-interpret visualizations. I am quite happy with Insights. Great tool. No complaints. "A holistic View on all KPIs"
It is very easy to create dashboards with a large variety of different display options. Reportings to our clients in more or less realtime. I like 2-Factor Authentication, because the internet is not a safe place, brand management, analytics and easy to use dashboard. Their lack of social media integration and their calander management. * We monitor all Adverity reviews to prevent fraudulent reviews and keep review quality high. We do not post reviews by company employees or direct competitors. Validated reviews require the user to submit a screenshot of the product containing their user ID, in order to verify a user is an actual user of the product. Hi there! Are you looking to implement a solution like Adverity?